I love it when dishes take familiar taste combinations and present them in slightly altered ways. 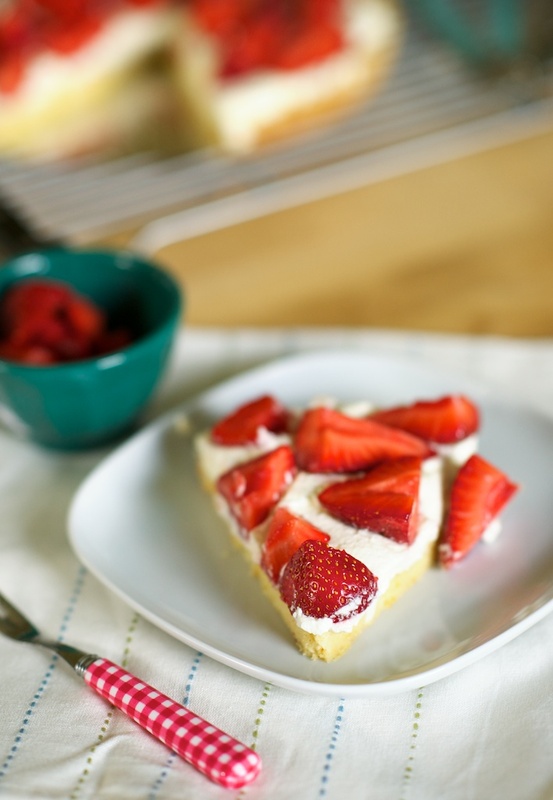 In the case of this strawberry shortbread, I felt like I was eating that quintessential spring dessert--strawberry shortcake--but in a more refined manner. 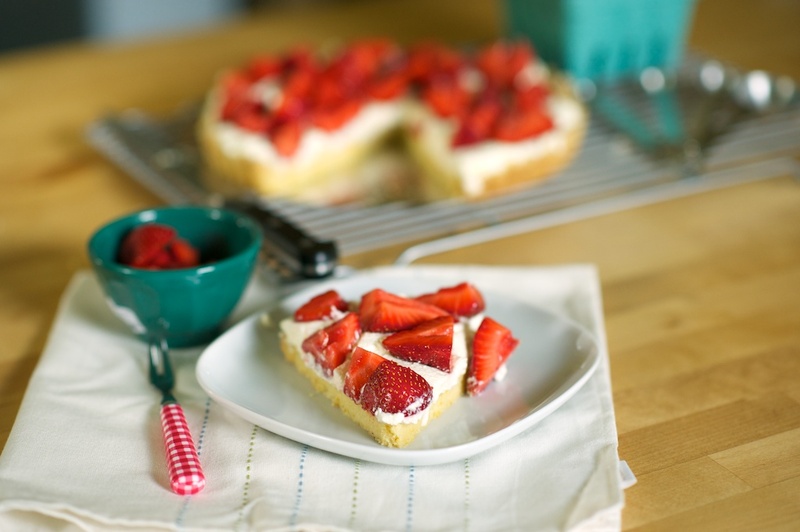 Instead of preparing biscuits to pair with strawberries and cream, I made an orange-infused round shortbread, topping it with carefully smoothed lemon-scented cream before delicately placing the strawberries on top. 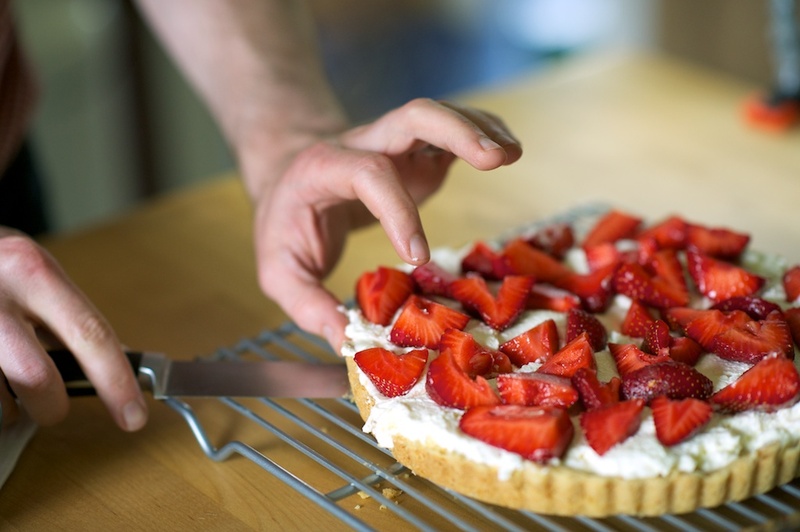 The dessert still has all of the components of a standard strawberry shortcake--a baked good, cream, and strawberries--but the experience and presentation feels different enough to justify making this tart AND strawberry shortcake. As we move through the berry season, the shortbread base will be just as receptive to raspberries, blackberries, or if if you live in Oregon, marionberries. Besides experimenting with different berry toppings, I also plan on baking the shortbread alone, to cut into pieces for an afternoon snack. 1) Preheat your oven to 320 degrees. 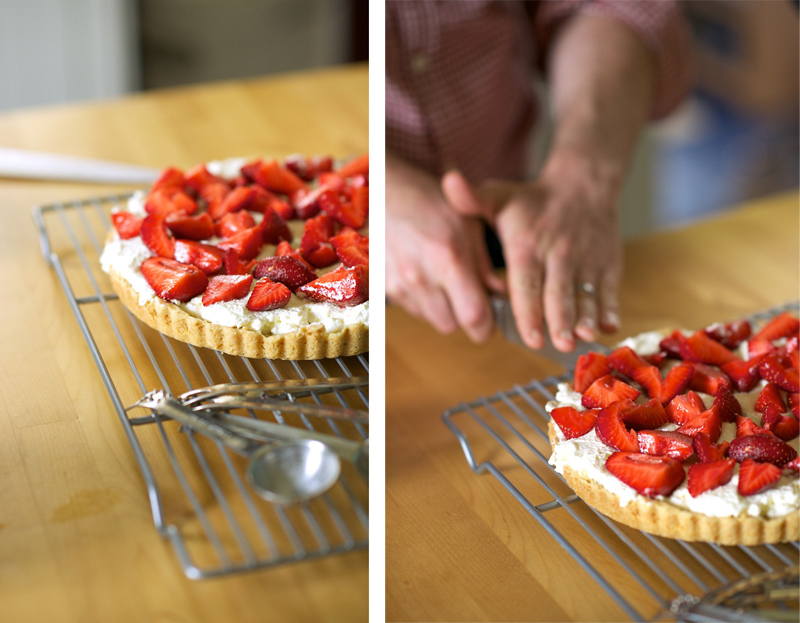 Lightly grease a loose-based tart tin. 2) To make the shortbread, combine all of the ingredients in food processor and blend for a minute. 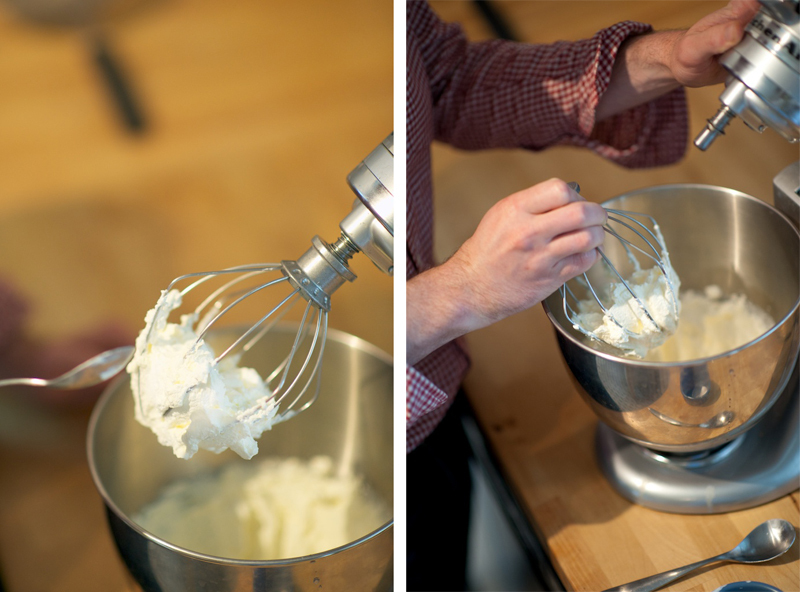 If you'd rather not use a food processor, mix together in a bowl until the butter is rubbed into the mixture. 3) Press the mixture into the tin, completely covering the base and sides. Prick with a fork and bake for 40-45 minutes, until it's a light biscuit color. 4) Let the shortbread cool for 10 minutes and then remove the cake from the tin to cool further. 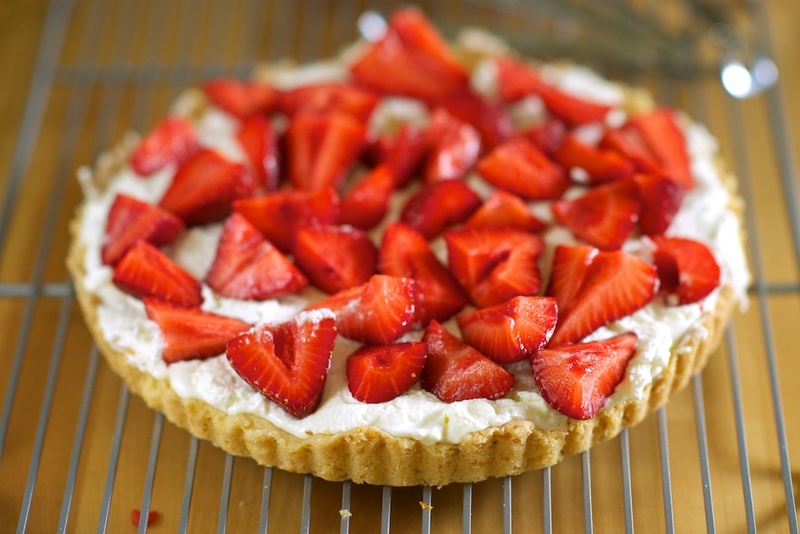 5) To make the topping, whip the cream, adding the caster sugar and lemon juice to taste. 6) Pile the cream onto the cooled shortbread, spreading it out evenly. 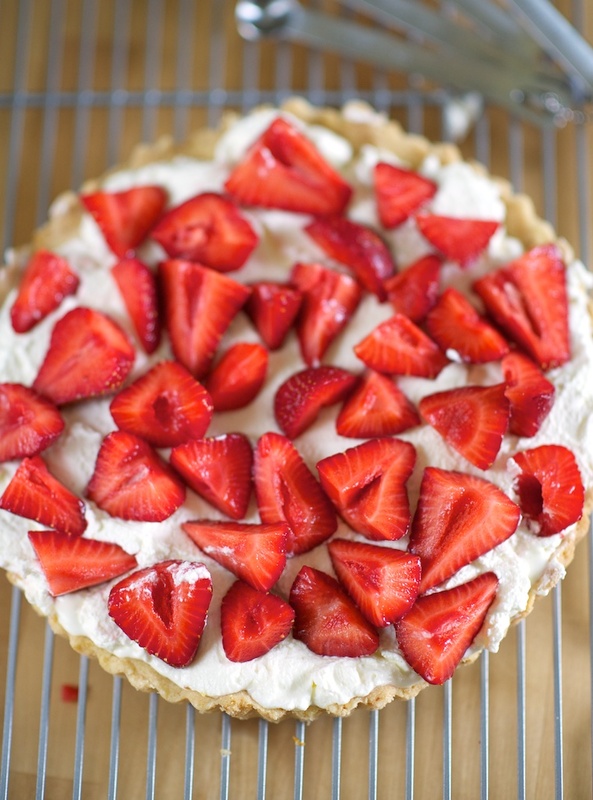 Add as many strawberries as you'd like. Enjoy! 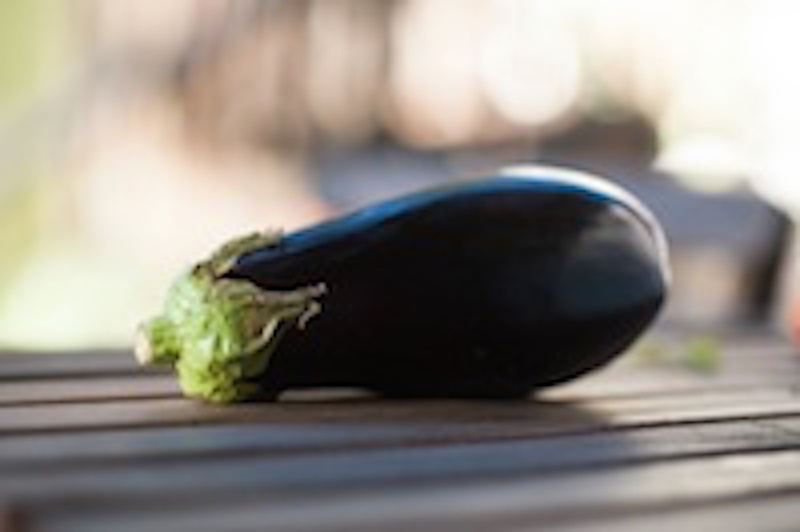 Around the fifth time we dropped a few pounds of eggplant into our red market basket, we paused and took a closer look at our selection.